I don't think anyone of gives much importance to the checkbook and its mere existence. Frankly speaking, the checkbook can be clearly called out dead. We have practically moved over to cards and no longer depend on carrying out checkbook for any banking or monetary transactions. If you are among the people who are always worried about someone following you in the ATM or peeping over your shoulder to get a glimpse, then the days of getting worried are coming to an end. You will no longer have to pay high fees to carry out transfers between the banks. As if now, we can see how the banking has improvised over the years. But in the coming years, we can actually forget about all these problems. We can expect our finance and banking control to take change drastically. According to Gi Fernando, founder and investor of Free Formers, the continuous growth and increasing space in the technological world has started scaring everyone. The company currently works on digital training to unemployed adults and businesses. As per Gi, the technology will take over the banking and finance in such a way that it would be out of the recognizable limits. With increasing number of companies opting for biometrics, clumsy card readers and outdated PIN numbers will become history. So we can certainly expect retinal scan, belt buckles, fingerprints, contact lenses and watches to completely replace our traditional card readers and pin numbers. According to global lead banking analyst at Ernst & Young, Steven Lewis, biometric usage will increase over the years. We can certainly expect eye scanners and fingerprints will become more prevalent. A simple example would be a buyer entering a store and picking up what they want and simply paying through their wearable device. According to Fernando, even though physical banks will be available in the future but many of them will exist in the coffee shops, cafe and supermarkets and even pop-up stalls. This new banking environment will serve the purpose of making people meet face to face. 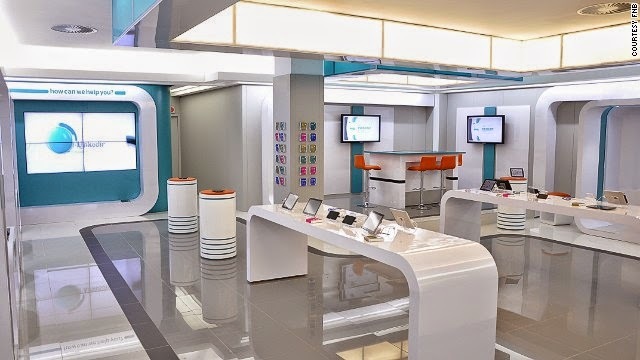 So, in simple, although there will be bank branches, they will start to look more or less like Apple store. It doesn't matter how advanced we get in terms of technology, cash will always have it's place. Even though it will be a long time for cash to fade out, but shopping for clothes and groceries over smartphones and other contactless payment method will gain lot of importance. But the same can't be said for checks as the use of checks have declined over the past couple of years. With the advancement in technology, people might find it hard to completely switch over the financial usage methods. There have been an increasing number of private companies venturing into the money transferring and the trends can be expected to grow in future as well.